Iyoga Project Saturday workshops with Tamar Kelly. The rope wall, yoga straps and other props will be used to experience the traction action. All categories of poses will be explored in this manner; standing, twisting, back bending, inversions, forward extension and even vinyasa. Seated poses, taken well, give a very good platform to investigate the hips, legs and spine. They also offer a stable environment for the nerves, which in turn leaves us feeling steady and quiet. Binding in a twist is the “cherry on the cake” but we need to bake the cake first! 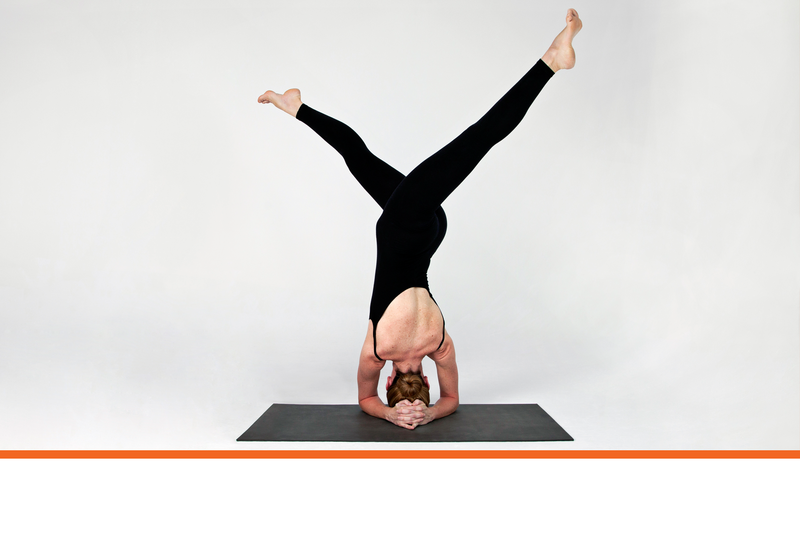 Unraveling the “end pose” and building it from the base of the twist, noticing and generating the revolve at each interval makes for a better completion of the pose. Non binding twists will also be taken, including the revolved inversions, forward extensions and a back bend! Sequencing off the mat allows for greater movement patterns and organic transitions. The “yoga mat” – that rectangular shape – is a relatively new concept. The wonderful vintage footage of B.K.S. Iyengar practicing as a young man show him moving in all directions without the confines of a mat. He also used different speeds – sometimes slow and smooth, other times dynamic and sharp. One moment holding, the next jumping. New ways of working generate a new and fresh consciousness. Tuck and lift is the order of the day in this workshop. What to place where and when – action and order of action. The asanas practiced will be primarily the “mini” arm balances but also include poses that prep us to bend and “clamp” before we lift. Many of the first balancing poses we learn are expansive standing balances – Ardha Chandrasana, Virabhadrasana III and Urdhva Prasarita Eka Padasana. What happens when we take these shapes and strike the balance on our hands? Lets find out! While Iyengar Yoga is famous for developing the ability to sustain long holds, it is certainly not the only rhythm pattern or way of working in this vivid and dynamic system. Movement can be really beneficial when working into new areas and may be particularly helpful for the back bending asana. We will use the aid of ropes, chairs, bricks and our own weight shifts to touch new territory. Yoga for healthy digestion is a focus of this workshop. There are many poses that are conducive to increasing circulation in and around the organic body without hardening or unnecessarily heating the organs. Understanding how to create space, gently massage and increase healthy blood flow to the digestive system can aid us in our ability to help ourselves when digestion is sluggish – especially beneficial for those who sit for work. Often we “just make it” to December. There is a common feeling that we are wrung out and our nervous system is spent. The restorative asanas and pranayama are a blessing at this time. This workshops is 2.5 hours of “refueling”.